Lynda Gann has been a licensed Realtor since 2002 and her passion is helping families, individuals, and investors realize their residential real estate goals in the Tri-Valley area and beyond. This includes the wonderful communities of San Ramon, Danville, Alamo, Walnut Creek, Dublin, and Pleasanton. With a degree in Finance and a customer service background from the Ritz Carlton Hotel Company, you can count on Lynda to provide you with an enjoyable and professional experience, one that is unmatched in the industry. Combined with her expertise in mortgage lending and finance background, her strength of character and positive attitude will ensure the finest experience for you. With Lynda working for you, you can be assured of a first class experience by a caring professional with the knowledge and expertise to assist you with all of your residential real estate goals. Lynda is involved in her community through fundraising efforts and taking on leadership positions for many worthy causes. She donates her time/money to various schools and community organizations. Living with her husband in Northern California for over 20 years, they have a 13 year old son and an 11 year old daughter. Lynda has a significant appreciation for everything California has to offer - she is an avid skier, world traveler, and has completed the Canadian Ironman Triathlon in 2000. Our team has earned the reputation for professional, honest, ethical, and knowledgeable real estate agents with an unwavering commitment to our clients’ goals and dreams. We are your #1 source for residential real estate including relocation, land, short sales, banked owned, investment properties, residential income, and owner occupied homes. We recognize all properties require unique marketing, and all buyers need creative terms, to differentiate them in this highly competitive real estate market. Lynda is dedicated to your results! Lynda was simply amazing in helping me sell my house and get me into a new house that I loved! She made the entire process super easy for me. With work and kids buying a home is extremely stressful but Lynda made it seem less! She was always on top of things and very flexible whenever I needed to see a house. Thank you Lynda for being the Best! 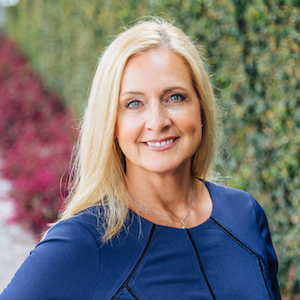 If you are looking for someone to represent your home in the housing market, then Lynda Gann is just the person to make it happen. Her knowledge of the San Ramon real estate market is as good as you can get. She uses her experience and skills to stage your home to look like a model home, enticing prospective buyers to serious consider your home as their own, as she did with mine. Lynda is the definition of a honest, straight shooter and true real estate professional. Why take a chance with other realtors with many listings, it only means their attention to details and your home's priority is diluted, which is the opposite I experience with Lynda, connect with her and see what I mean. If you want top dollar, then Lynda is your realtor.